That turned out so well! Way to be creative with what you had, and thanks for sharing your inspiration! So cute--you've given me a new idea! We usually write on leaf shapes and either tape them to a tree shape on the kitchen wall or put them in a basket. May have to try my hand at a turkey guy though! Love it! And I love the yarn ones, too. I have quite a bit of yarn hanging around I'm sure Wayne would love for me to get rid of. I love this idea! So cute. We started our thankful chain yesterday, but it would be nice to do something else ... maybe next year. 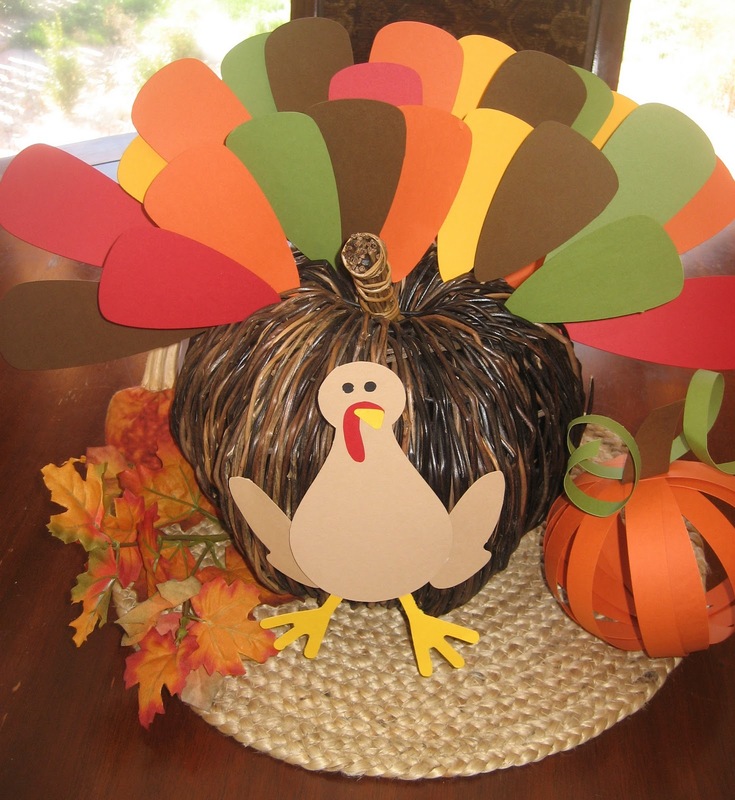 We make 2D thankful turkeys with the same idea of feathers...but yours is awesome and fantastic and so much cooler. Love it! purely precious! totally want to do this with my family!!! Thanks for the idea...I stole it. :) Check out our version...I love your pumpkin but had to settle for a grapevine ball. 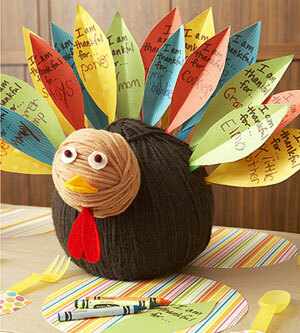 :( But thank you so much, we had a great time in church yesterday starting to fill in our turkey. Super cute! Just found your blog b/c it was listed on Tip Junkie. Love it! 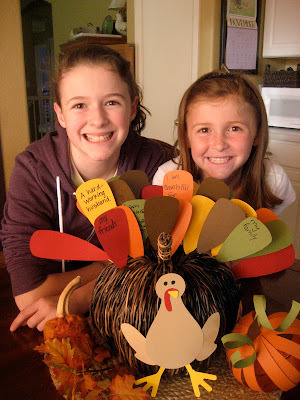 :-) I'm inspired to create our own Thankful Turkey for our family... even though it's already the 15th of the month! LOL If I do it, I'll credit you on my blog... http://whereisyourhappyplace.blogspot.com.